By attaching G4 sensors to the aircrew helmets, both position and orientation are tracked. Crew members can walk about the mock cabin freely, even passing in front of one another, with each trainee being tracked continuously. Simulated training has expanded into many areas, but there seems no better use of this type of training when it provides the kind of experience for jobs that save lives. Training highly skilled and effective aircrews for an array of operations is a dangerous endeavor, and a costly one. VSS (Virtual Simulation Systems), out of Australia, has created a cost-effective solution for procedural aircraft crew training that provides a safe method and allows for training on complex operations, including rescue missions. This total solution is the CATS (Complete Aircrew Training System). CATS is used for training in more than ten locations around the world. It’s utilized by the Australian Defense Force, the European Defense Agency, the UK Ministry of Defense, and has also aided in civilian training by its utilization of the rescue provider, Priority 1 Air Rescue. A break-through in aircrew training, CATS provides a realistic training experience that would not otherwise be possible. By equipping crew members with virtual reality headsets, their positions are tracked in 3D space in 6 Degrees-of-Freedom. By combining dynamic software by VSS, this allows the trainees to be completely immersed in a high-fidelity representation of the aircraft and any cabin. This is accomplished with the integration of Polhemus G4™ which uses electromagnetic motion tracking. By attaching G4 sensors to the aircrew helmets, both position and orientation are tracked. Crew members can walk about the mock cabin freely, even passing in front of one another, with each trainee being tracked continuously. With Polhemus motion tracking technology, a line-of-sight is not necessary for tracking, so there is no interruption of data. As long as the sensors are within the range of a Polhemus source, seamless 6DOF tracking is achieved. Watch the CATS video here. The Polhemus G4 tracking system is also scalable, so sources or sensors can be added to increase the range or the number of people or objects tracked. The high-fidelity tracking creates a high-quality VR experience. A wide variety of operational environments are available with CATS, including coastlines, forests, mountains, western cities and afghan villages. Training can be tailored to the specific needs of the user and any geo-specific training area can be implemented. Several modular options are available including, but not limited to: door gunnery, hoisting and winching, marshalling, and a cockpit module. 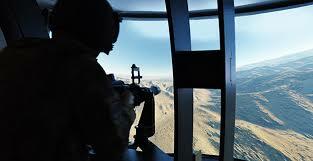 When VSS released CATS, they set the standard for simulated aircrew training. Aside from it enabling a high cost savings, trainees gain experience in dangerous missions that are hard to replicate in live training. They also train over terrain they would only see in a live mission, and every CATS simulated training session allows for a safe experience where all trainees come home. 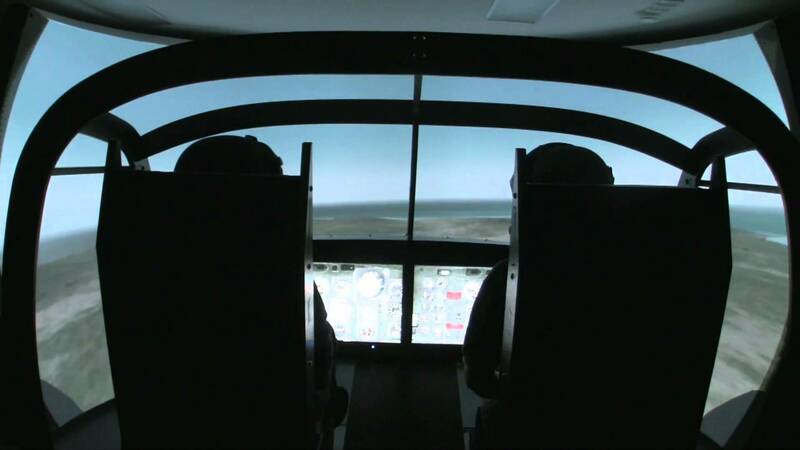 VSS continues to develop a wide array of simulation technologies and they are constantly innovating to deliver dynamic solutions that evolve as fast as training needs do. VSS (Virtual Simulation Systems) is a groundbreaking company, developing new and custom solutions for both military and civilian simulation needs. They offer an innovative range of products in the synthetic training realm and are constantly developing new technologies to meet cost-effective outcomes. VSS designs and builds custom simulators, full procedural or part task trainers to suit any needs at any budget. These range from vehicles to aircraft, projection domes to virtual displays and more. They offer Commercial Off The Shelf simulators that are modular and can be combined or customized in many ways. (Photos Courtesy of VSS).